Students enrolled in the strings program have the opportunity to learn violin, viola, cello, or bass, and play in an ensemble. MYCincinnati currently has three levels of string orchestra, for a combined total of 80 students. 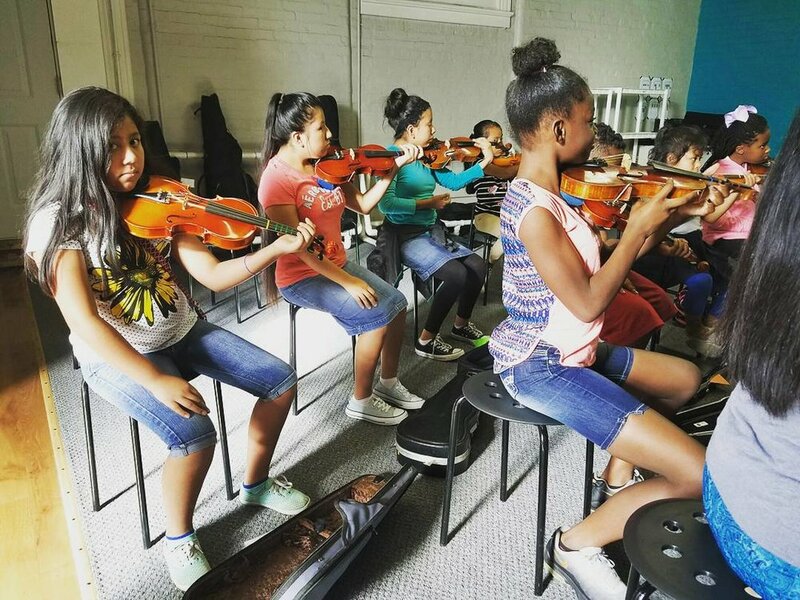 Most students studying a stringed instrument are engaged in 2 hours of MYCincinnati programming daily, for a total of 10 hours per week. 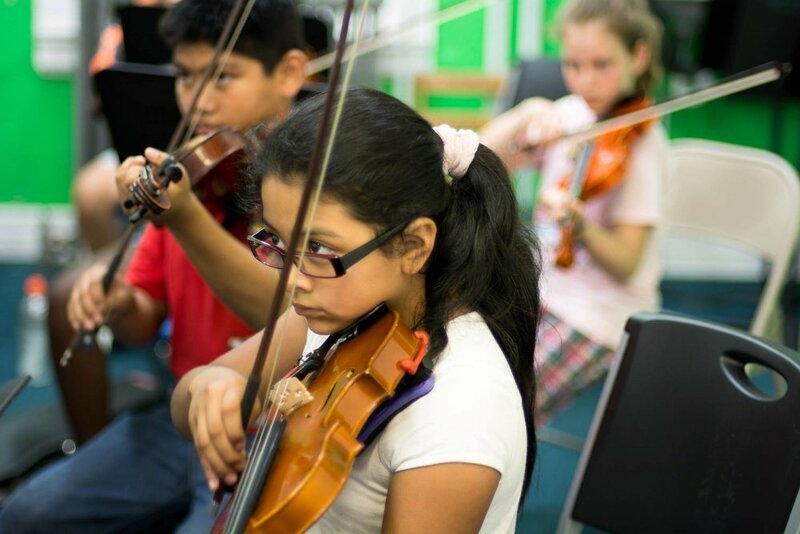 Activities include orchestra rehearsals, sectionals, private lessons, chamber music, and teaching/mentoring. Our string musicians have collaborated and performed with the Cincinnati Symphony Orchestra, Cincinnati Chamber Orchestra, pianist Awadagin Pratt, Swedish songwriter Jens Lekman, hip hop performance artist Napoleon Maddox, Elementz Urban Arts, MUSE Women’s Choir, and more.